Whether you recently purchased Puyo Puyo Tetris for the Nintendo Switch, or you're looking to show someone else the ropes, this guide will give you all of the steps! 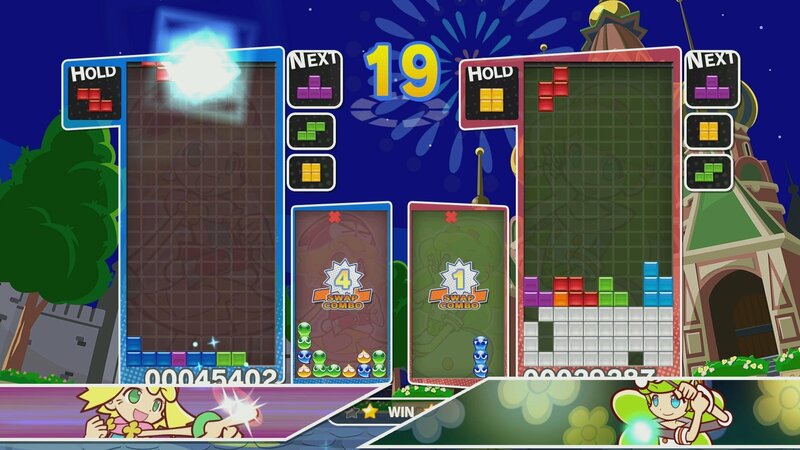 Puyo Puyo Tetris remains one of the most popular puzzle games on the Nintendo Switch. 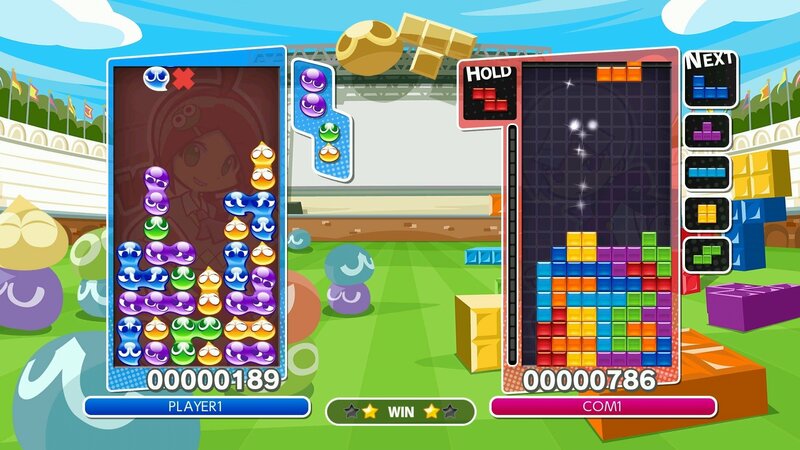 As a clever mashup between Tetris and Sega’s Puyo Puyo game, Puyo Puyo Tetris is a blast to play. 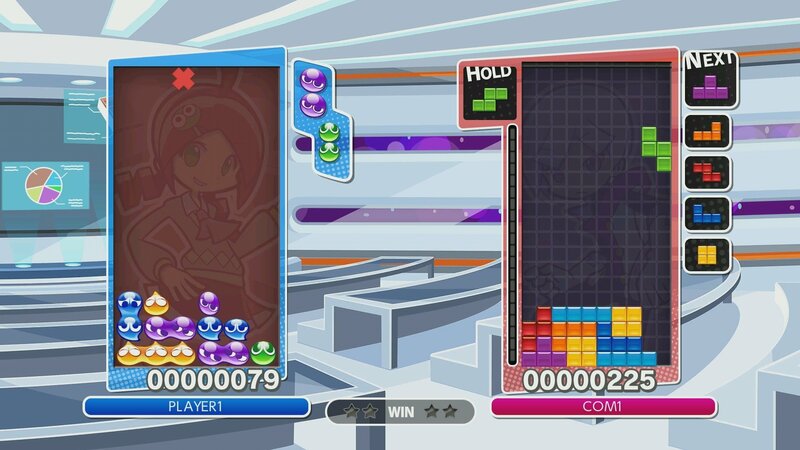 If you’re new, you may find yourself seeking out information on Puyo Puyo Tetris and its wealth of game mode options. On the flip side, if you recently convinced your buddy to buy Puyo Puyo Tetris, you may be looking to help get them up-to-speed on the game so that the two of you can concentrate on proving who’s the better Tetris player. To help you out, we put together this quick Puyo Puyo Tetris beginner’s guide! First, it’s important to know where you can get yourself a copy of Puyo Puyo Tetris for the Nintendo Switch. You can purchase Puyo Puyo Tetris digitally on the Nintendo Switch eShop or you can snag a physical copy at most local retailers, including those listed on the Puyo Puyo Tetris website. Once you’ve got your copy of Puyo Puyo Tetris on the Nintendo Switch, you’re ready to get started. Where do you start? Well, you’ll first want to determine the best controller option for you. For example, a Nintendo Switch Pro Controller may prove to be a more comfortable option depending on your personal preferences. Alternatively, you can play with the traditional Joy Con Controllers. After clicking on the Main Menu, navigate over to the Options & Data menu. Here, you can assign your own personal avatar, location, and turn things like HD Rumble and Chain Animations on or off. Next, save your changes and switch the Options tab over from General to Controls. Here, you can review what the default controls are, and set up your own personal control options depending on how you prefer to play. With the game customized to your liking, you’re ready to jump into your first game! 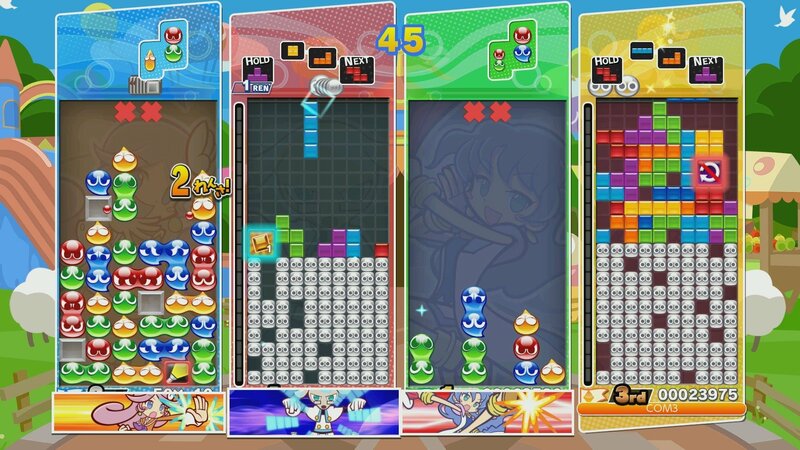 There are a variety of different game modes available to you in Puyo Puyo Tetris. 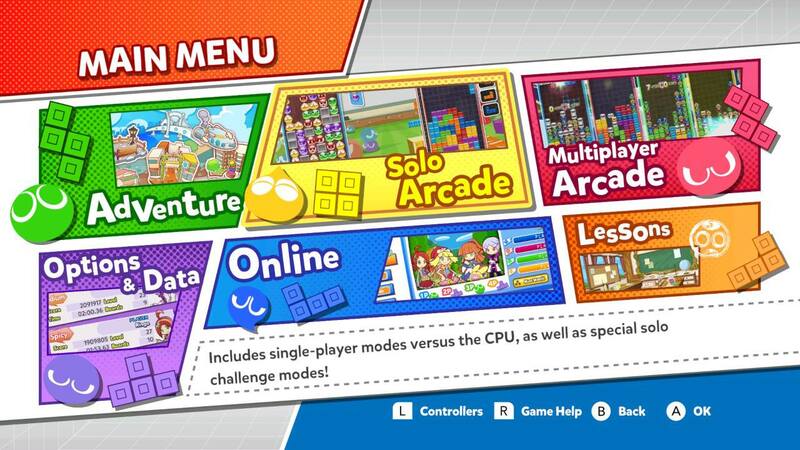 We’ve previously covered the game mode options available to you in Puyo Puyo Tetris. However, we’ll give you a quick refresher to help get you up-to-speed. For beginners, you’ll want to head over to the Lessons section to get a few practice rounds in. In the Lessons section, you’re able to practice Puyo Puyo, Puyo Tetris Fusion, and Tetris. We recommend trying out each section and paying close attention to the tips given in each section. Once you feel comfortable, you can head back to the Home screen and choose a different game mode. We recommend checking out Adventure Mode next, as you’ll be able to get acquainted with the game’s cast of colorful characters both on the Puyo Puyo side and on the Tetris side. Additionally, Adventure Mode acts like a secondary tutorial with matches that gradually increase in difficulty. Again, we recommend checking out our previous guide on Puyo Puyo Tetris game modes to learn more about each one. You can also open them up and give them all a try to find your personal favorite! If you’re playing with friends, you can hit up the Multiplayer Arcade for some local multiplayer goodness. Don’t have anyone around to play with? No worries, that’s what the Online section of Puyo Puyo Tetris is for! Once you feel you’ve honed your skills, you can put them to the test Online. Here, you’ll match up with other players from around the world. Don’t get discouraged if you’re not instantly victorious in Online, as beating other players requires quite a bit of practice. When you become comfortable with every aspect of Puyo Puyo Tetris, you’ll undoubtedly want to work towards becoming a pro player. The way to become a pro Puyo Puyo Tetris player is to constantly practice all game modes, rather than sticking to the one you’re most comfortable with. Additionally, try to learn new maneuvers like T-Spins and the Tetris Line Clear to up your game. Another way to improve is to make use of online resources and guides. For example, there are a variety of Puyo Puyo Tetris tutorials on YouTube, including several on Sega’s official YouTube channel. Next, pay close attention to how you’re playing. If the configuration on your controller is preventing you from succeeding, head back to the Options & Data menu and reconfigure your setup. In summary, learn from your mistakes, ensure your setup is comfortable, practice constantly, and don’t get discouraged when facing off against other players Online. What’s great about Puyo Puyo Tetris on the Nintendo Switch is there are so many ways to play and improve. You can take the game with you in handheld, and play comfortably on the couch with the Switch docked. Don’t own a Nintendo Switch but want to give Puyo Puyo Tetris a try? You can purchase a physical copy of the game for the PlayStation 4 by clicking here.